Orange juice extractors and juicers can bring all the healthy benefits of fresh juice to your home, but finding the best citrus juicer is not as difficult as it seems. When you have the pleasure of dining out for breakfast, what is one thing that you really look forward to? 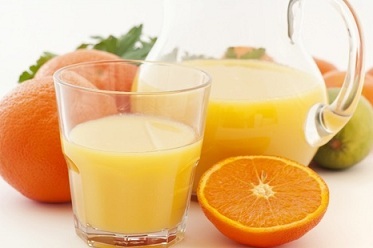 For many people, it is the crisp orange juice that seems to taste better than any orange juice purchased from a store. You probably want to recreate that fresh juice experience in your own home, but many standard juicers do not work well with citrus. Orange juicers are the answer. Restaurants use commercial quality extractors designed just for citrus to get that delicious, nutritious juice that comes fresh to your table. The good news is you can find these orange juice extractors at very reasonable prices for your own home. Manual designs that force you to squeeze out your own juice. Electric designs that grind the juice out faster. Pressurized pump designs that clamp onto the side of your countertop. Manual designs that force you to squeeze out your own juice can be found in any dollar store. They are incredibly flimsy and are not suitable for making substantial amounts of juice. 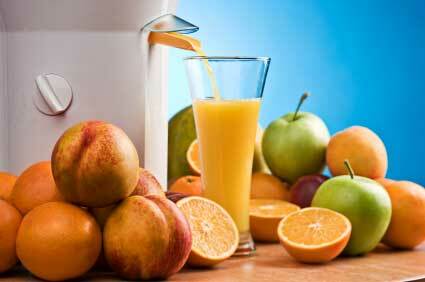 The quality of juice is also not very high, since they typically leave behind very wet orange pulp in the peel. Electric designs typically require you to slice the orange in half and hold it down on the appliance while it whirs around and pulls the juice and pulp from the peel. You won’t waste as much since they are quite good at extracting juice, but you can expect to have some pulp floating in your juice. You can find basic electric orange juice extractors at reasonable prices, but they still are not the best option on the market. If you want the highest quality orange juice that tastes like it could be served up at your favorite restaurant, you need to go with a manual pump that attaches to the side of your countertop and applies pressure down onto the fruit. This type of extractor can be considered a halfway point between the most basic manual squeezers and the electric models. You place your orange half on the device and pull down a handle to put intense downward pressure on the fruit. This is a very easy process that does not require any electricity, but it delivers the richest, most flavorful and nutrient-dense orange juice you could ask for. When looking for a counter-clamp design orange juicer, make sure you find one that is designed with a rack and pinion gear system. This system ensures that the pressure exerted bears down on the device and your fruit rather than all on your countertop. This is important because designs without this system can damage your counter or fly off and cuse injury when in use. You may also want to consider a model that comes with a removable strainer if you don’t like a lot of pulp in your juice. 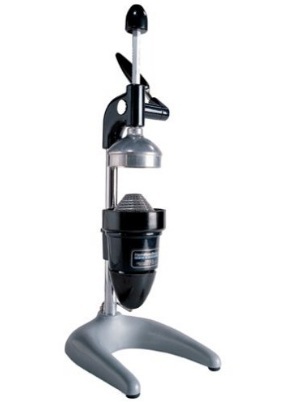 It has to be removable or you will find it extremely difficult to keep the extractor clean and sanitary. A manual juice extractor that attaches right onto the side of your countertop is the easiest and most effective way to get delicious citrus juices right in your own home. A fresh omelet filled with vegetables tastes even more delicious when washed down with fresh orange juice! Click here to compare popular juicer models.